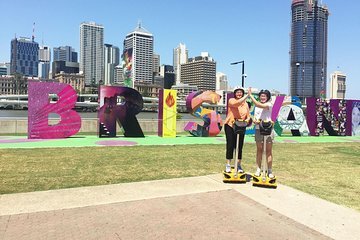 Explore the heart of Brisbane's beautiful river city and South Bank Parklands on self-balancing, two-wheeled robo-gliders. Cover lots of ground as your guide talks you through spectacular views and sights. You will have an abundance of photo opportunity along the way and become a master at maneuvering through the streets. You can choose between a 30-minute tour for a snapshot of the city, 45-minute tour to see more of the sights, 60-minute experience to see full highlights of the Brisbane city. If you are a night owl, book a 75-minute night tour. Meet us in front of our store at South Bank Parklands (next to the Wheel of Brisbane). We will provide you all your gear and equipment before you start your tour. Your guide will provide you with one-on-one training to ensure you become a confident rider.  No prior experience is required and suitable from 6 years old and over. Our two-wheeled self-balancing robo-gliders are easy to control and you will master how to control the speed with your body weight in no time. You will quickly discover how much fun they can be to ride. When you are ready, explore the best of Brisbane's River city and glide to the South Bank Parklands with your guide. You have the option for a 30-minute tour for a quick snapshot of the city, 45-minute tour to see more of the sights or select the 60-minute experience to see the full highlights of Brisbane. If you're a night owl, book in for our 75-minute night tour. We loved this! I was a little nervous about my six-year-old, but after only a 5-minute practice session she did great navigating around tourists and cyclists along the riverwalk. We easily could have gone longer than 30 minutes - if we had been in town longer, we would have booked it again. A highlight of our time in Brisbane.